Fun music videos with easy to remember phrases make it fun to learn to write! 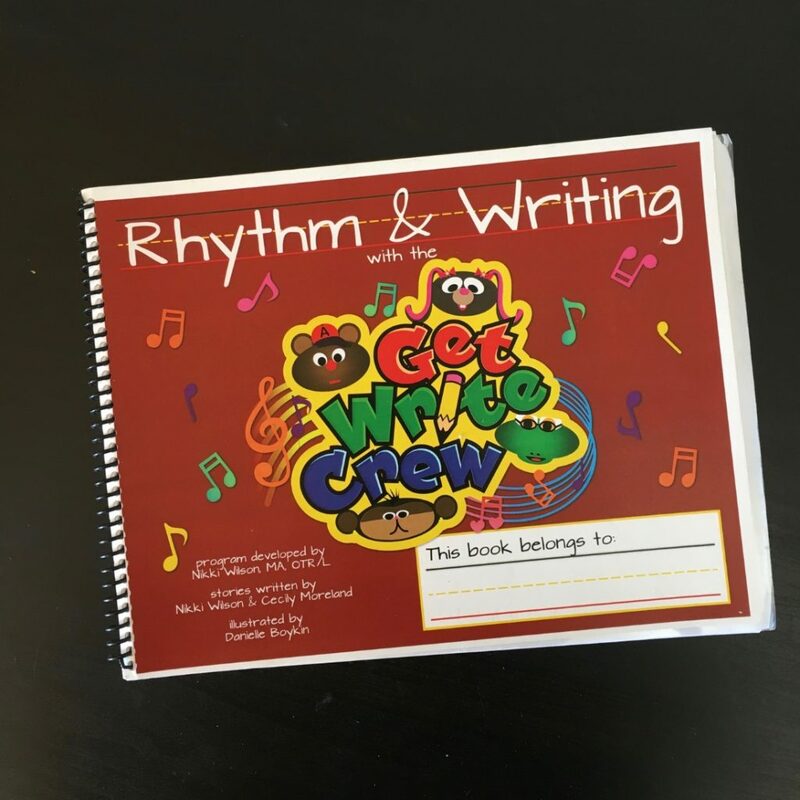 Rhythm & Writing with the Get Write Crew has been an incredible addition to our homeschool. By using catchy, rhyming phrases and music videos, your child can easily learn how to properly form their uppercase and lowercase letters to give them a great foundation in printing. We received a coil bound notebook, a dry erase overlay and online access to instructional videos from Rhythm & Writing so that we could review this curriculum in our home. To start, we completed a pre-assessment which includes lower and upper case letters. As the parent, I was then easily able to determine the letters that my son was having difficultly with. We decided to try all of the letters to give us a good overview of the program. The letters in this curriculum are organized by similarity, with the easier to write letters being first. The letters that are formed in a similar way are grouped into “episodes”. To start, we read a short passage about the episode, which includes a fun saying to help your child remember how to correctly form each letter. We then would watch the corresponding video. We love music in our home, so the videos have been a huge success! Next, we used a dry erase marker to practise the letter on the dry erase overlay in the notebook. Once my son was comfortable with each letter, he would then write in the notebook without the overlay. 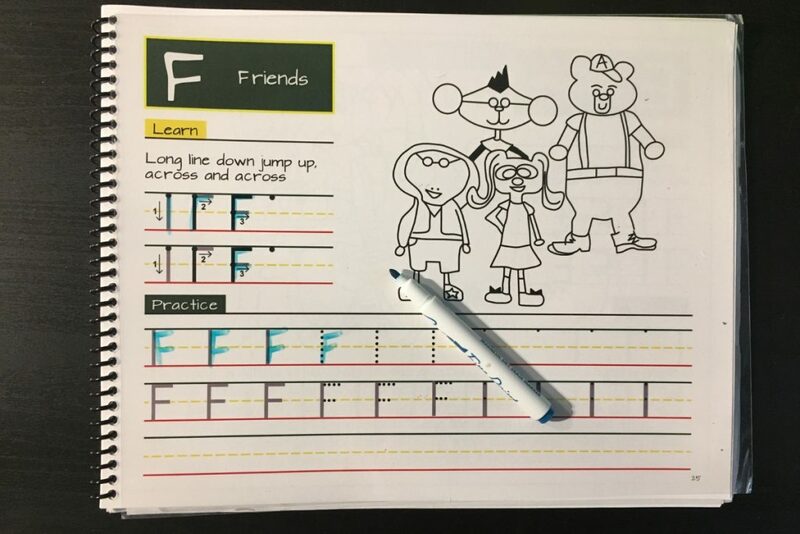 Each lesson is set up so that you trace the gray lines to start, then connect the dots and lastly, it uses dots to show your child where to start each stroke. The final step is to print without any guidance. There is also a colouring page for each episode and an image to colour for each letter to help add to the fun. We continued with this routine with each lesson. We have just a few letters left and then we will complete the post-assessment to see how much progress my son has made. We really liked the ability to easily repeat the lessons with the dry erase overlay. This gave us the ability to repeat each lesson as needed. This curriculum helped my son to see which letters he needed to work on more, and with repetition, he was able to master the proper way to form them. The songs for each group of letters is such a great addition. They had us dancing around the kitchen while also being easy to remember so we could apply the rhyme to our writing. Rhythm & Writing with the Get Write Crew is an excellent curriculum to help your child learn the proper formation for each letter. My 3 year old is starting to learn his letters and I am definitely going to pull this curriculum out for him. It will help him to get a good, solid start with his letters. 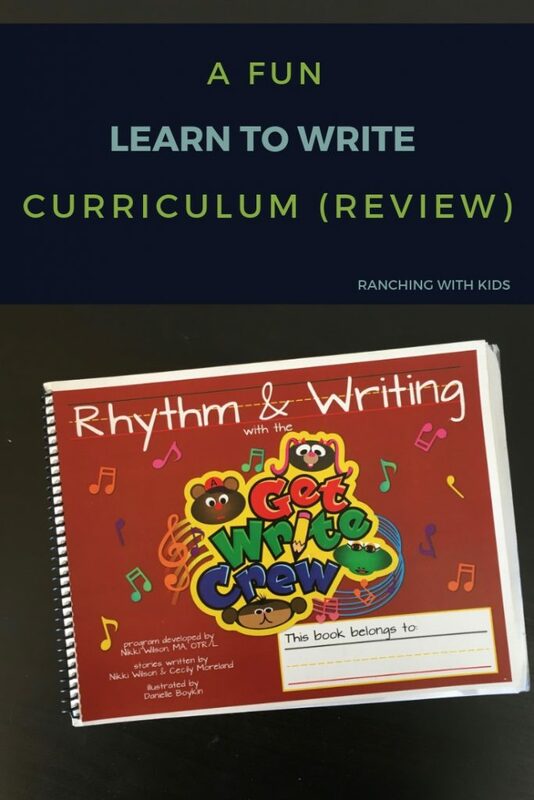 Click here to read more Homeschool Review Crew reviews about Rhythm & Writing with the Get Write Crew!